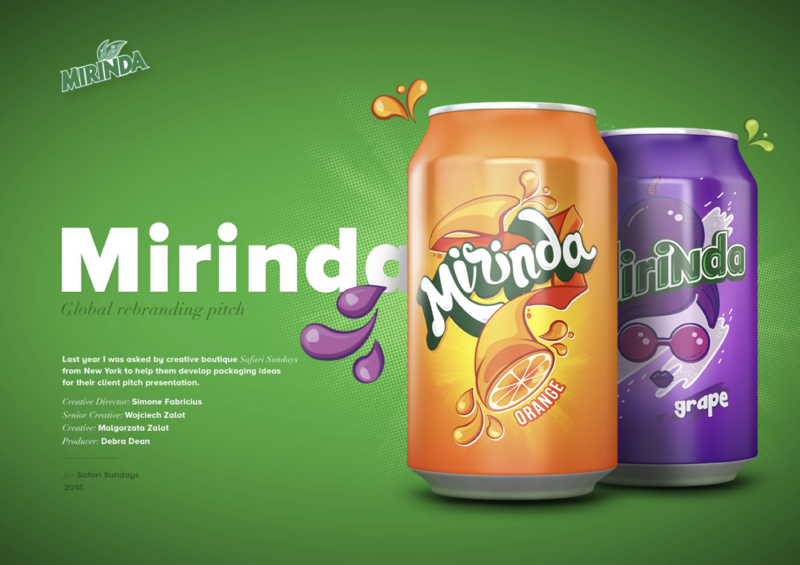 Mirinda global rebranding pitch. Last year Creative Boutique Safari Sundays in New York worked on some packaging ideas for their client pitch presentation. 4 creative concepts were designed for 4 different flavors. Concept number 2 gets my vote!